Bergen, Morris and Sussex County real estate agent website design and brand marketing coaching for maximum traffic and sales. Affordable, and essentially priceless for your success. Are you a real estate agent who really wants to ramp up your business and stand apart from all the other agents out there? You work hard for every single listing you land. Whether you are the seller’s agent or the buyer’s agent, you work hard. But do you have your brand nailed down securely? I’m not talking about the company you work for – be it Keller Williams, Coldwell Banker or Bob’s Real Estate……… I’m talking about your brand, or the brand of you and your partner, or your team. Have you even established a brand? We have coached many real estate agents throughout Northern New Jersey, Bergen, Morris and Sussex County on how to effectively establish and market their brand. Whether you are a luxury homes specialist, or you focus on regular neighborhood real estate sales, our real estate branding coaching will be a key player in your future success. To truly be successful, you as a real estate agent needs to establish your brand. This sets you, you and your partner, or you and your team apart from everyone else out there in that very crowded and competitive real estate field. Your brand is what will ultimately drive your traffic and sales. A full blown website is not an absolute necessity. Keep it simple, keep it stunning, keep in successful. A one page well designed geo targeted audience targeted website will do wonders for your real estate image, build trust, and get you the traffic and sales. Combine this with a professionally set up Facebook business page, and you, you and your partner, or you and your team will be well on the road to success. As consumer shopping preferences turn towards the convenience of shopping online, many retail store chains are shutting down or consolidating their efforts into many less stores. Consumers prefer to shop with their devices – phones and tablets – and computers, instead of sitting in traffic, wasting time looking for parking spots, and walking miles and miles inside of shopping malls. The Fingers vs. Feet revolution has begun, and it’s changing the landscape of retail shopping drastically. Which could be a serious good thing for your online e-commerce website. Or for that start up business you’ve been thinking about. Time to make a plan and put it into action. The list of retailers who are either on the brink of bankruptcy and considering shutting down, who have already shut down, or who are streamlining their efforts to keep their noses above water (they hope) is major. Many have been around for years. It is the price they are paying for not being vigilant and observing the trends and shifts in consumer shopping. Payless Shoes, J.C. Penney, Macy’s, Sears, K-Mart, The Limited, Crocs, CVS, Sports Authority, Womrath’s Book Store, and Bebe are just a partial list of casualties. Consumers lead busy lives. The convenience of shopping on their devices at any time of the day or night and the deals they receive far outweigh the traditional shop til you drop shopping methods of the mall. Free shipping, online discounts built into the shopping cart, coupons, deals of the day, free returns and more are very attractive. 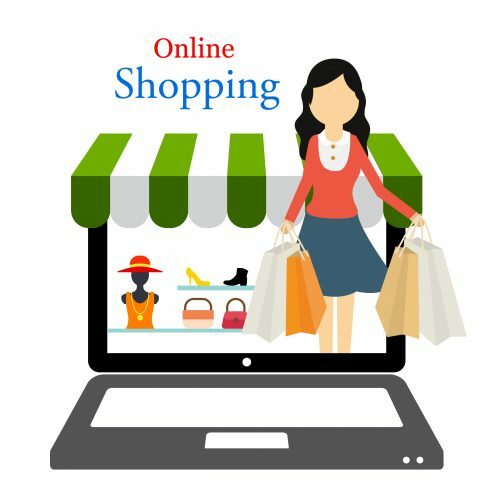 If you currently have an online e-commerce store or are considering starting an e-commerce business online, this could be a golden time for you. Yes, there is a great deal of examination, planning, implementing strategies, and good old fashioned work involved. But when you find your sweet spot, the rewards are priceless. We work one on one with businesses throughout Bergen, Morris and Sussex County New Jersey, with all aspects of business planning, implementation, marketing, website design, seo and more. As a soup to nuts marketing agency, we’ll guide you down the path and away from the costly mistakes towards success. Not sure how your company, product, brand or service should be effectively marketed? Do you need to set YOUR business apart from the competition? Why is SEO so important? Visibility, search engine visibility. This is key. Let us explain what expert SEO can do for you. A website can be built and can be beautiful. But without carefully crafted content, and equally carefully crafted organic SEO, that beautiful website is going to just sit and become another piece of fluff on the Internet. The whole point is for that beautiful website to bring you phone calls, leads and sales. And, if you have a brick and mortar store, to bring you the foot traffic and sales as well. Expert, best practice SEO and a strong digital marketing plan will do just that. Maureen McCullough LLC is YOUR Bergen County NJ SEO Company. As your SEO Expert, using only the best organic SEO techniques, we produce results that generate leads and sales. Our agency takes a personal interest in each client we work with, meeting with you personally, listening to what you have to say, and crafting and implementing a personalized plan of success for your company. SEO is the first step in a multi point organic digital marketing strategy designed for business success. SEO is always the first step, and the most important step that your business will ever take to gain search engine visibility, and generate phone calls and sales. If you cannot be found in the search engines, your business will not gain the success it needs to be sustainable. You can spend thousands of dollars on online advertising, and still come up way short, with little or no gain or sales. Why waste your hard earned money? That makes no sense whatsoever. Expert, quality SEO is your best tool to use to get your website the search engine visibility it needs. And in the big picture, quality SEO is much more affordable than expensive advertising campaigns. We work with many small businesses across the United States, even though our home base is here in New Jersey serving Bergen, Morris and Sussex County. And with each small business we work with, the core values and results remain the same. Why are there no search engine ranking guarantees? There are no search engine ranking guarantees, and any reputable SEO company you work with will tell you the same thing. Anyone who tells you anything else is not reputable and should never be used. Simply put: no reputable SEO company can guarantee search engine rankings because none of us control the search engines. It’s that simple. You cannot ethically guarantee something over which you have no control, bottom line. We work with your company and your budget to design a digital marketing SEO strategy that will best serve you. We keep you as involved as you want to be with analytics, and the rest of the program. Again, no magic pills are involved! No waving of the magic wand takes place! You *may* see some results as early on as 2 weeks. A much more honest and realistic expectation is 6-8 weeks. Over the long term, your comprehensive SEO and digital marketing program may completely replace any need to spend big bucks on expensive advertising! That money saved is can be put to much better use. Search engine usage has replaced the phone book. Over 90% of all internet querying is done by potential customers and clients. Each one could be a lead for you. Why not let excellent SEO help you take advantage of the unlimited potential waiting for you? In a world where there seems to be an attorney or law office on every other corner, more and more small practice attorneys and solo practice attorneys are having a harder time marketing their business and getting the phone to ring. Even when the economy is doing well, there is just so much competition and the market is so flooded with lawyers it’s hard to put your law office in the “A Cut Above The Rest” level. Many attorneys then resort to paying for search engine position and paying for directory listings that advertise other lawyers on the same page as your listing. Or get involved with attorney marketing companies that charge exorbitant fees. And still your phone does not ring. If your law practice is located in Bergen, Morris or Sussex County New Jersey, our marketing agency can help. Maureen McCullough LLC represents many attorneys throughout Northern New Jersey, with website design, marketing and search engine optimization (SEO), niche marketing, and geo targeted marketing. Our agency specializes in unique ways to bring your business to the forefront using organic search engine optimization methods, without costly advertising or Adwords expense. Every attorney is different, each law practice is different, and each niche market and target audience is different. That’s because YOUR law practice is unique, and even though the market is flooded, we help you stand out from the crowd to the people who need you most – your potential clients.